Safety is a core value at the Hanford Vit Plant. 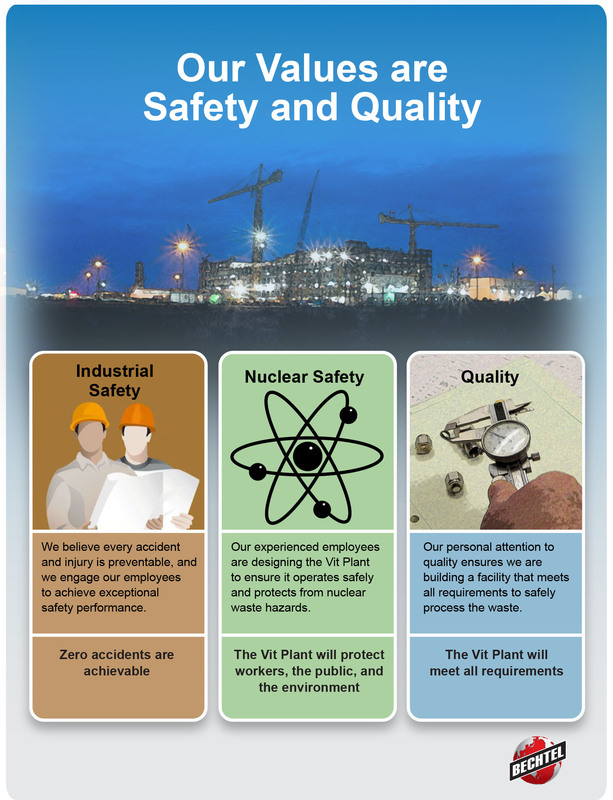 The Vit Plant is being built and designed with industrial and nuclear safety in mind. We believe every accident and injury is preventable, and we engage our employees to achieve exceptional safety performance. Learn more about Industrial Safety at the Vit Plant. Our experienced employees are designing the Vit Plant to ensure it operates safely and protects from nuclear waste hazards. 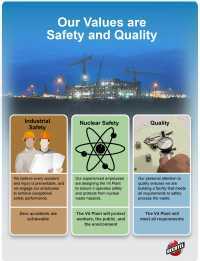 Learn more about Nuclear Safety at the Vit Plant. This short video explains the difference between industrial safety and nuclear safety.